1. Thinly slice zucchini using a vegetable peeler, or a knife if preferred. 2. Combine all the marinade ingredients in a large jar and shake. Add zucchini and shake gently to mix the marinade through the zucchini. Leave the jar in the fridge for an hour. 3. 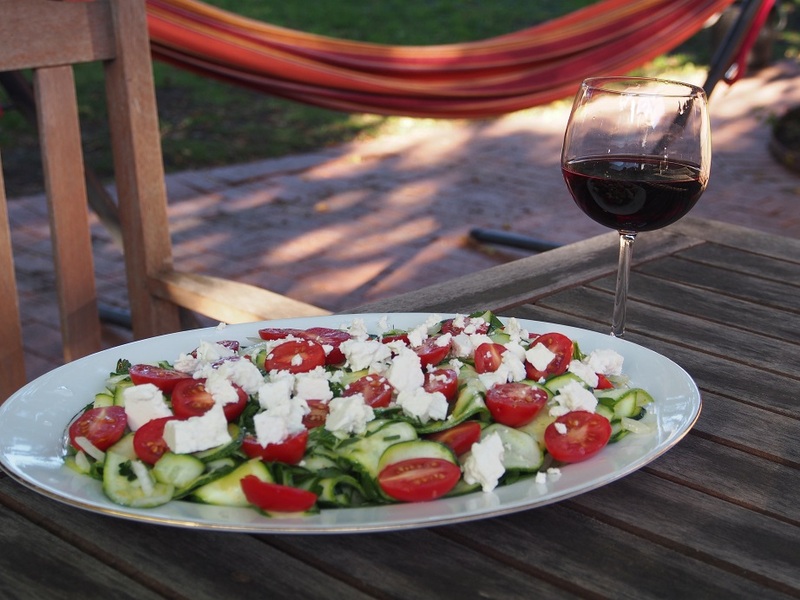 Lay out marinated zucchini from the jar on a shallow serving plate and crumble the goat’s cheese coarsely over the salad. Optionally, decorate the salad with halved mini tomatoes.